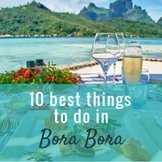 Once we stepped through the distinguished front door of our Four Seasons Bora Bora beach villa we were in our own wonderful world. 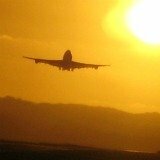 Whether you're a public figure, wanting a very private stay; or folk like us, wishing to travel like stars; you will be impressed! 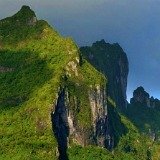 This is tropical island living at it's best. 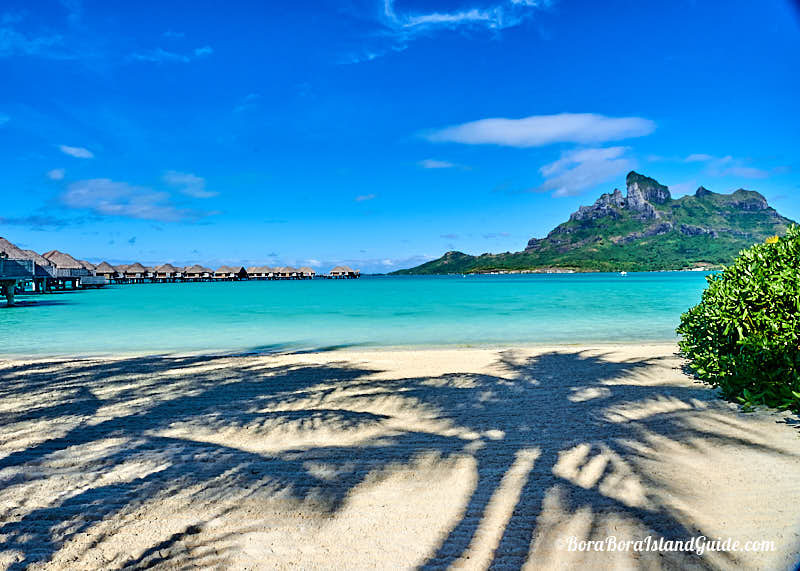 All the Bora Bora resorts grace some of the world's most beautiful beaches, with views that amaze. 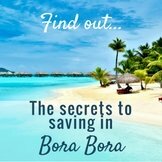 But when you book a Four Seasons Bora Bora beach villa, a white-sand secluded, private beach is yours alone! 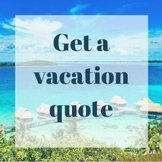 Words cannot describe the extraordinary beauty of our villa, the garden, and the beach: you can be wowed by our photos below. 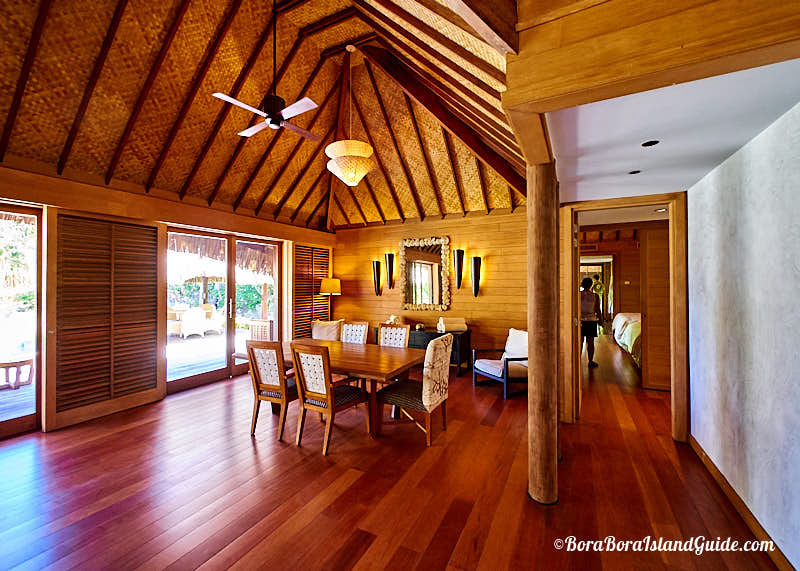 A Four Seasons Bora Bora beach villa has generous indoor and outdoor spaces, furnished for comfort and convenience, which makes in-room dining very pleasurable. The lovely living area closes off at each end to ensure that the bedrooms are peaceful. Two sets of wide glass doors slide open to frame the astounding views. 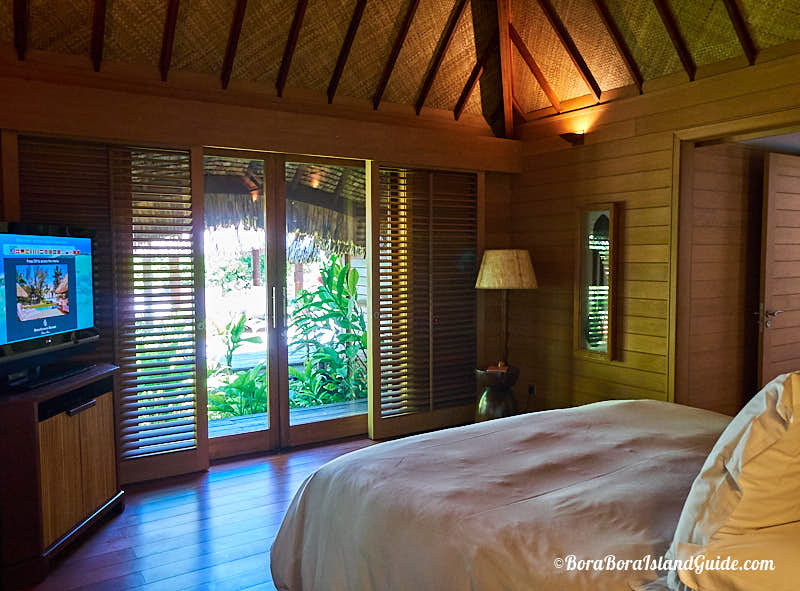 The intimate couple's bedroom has it's own private space, with a second front door leading in to a hallway. There's a large wardrobe section behind the bedroom and a convenient work station. 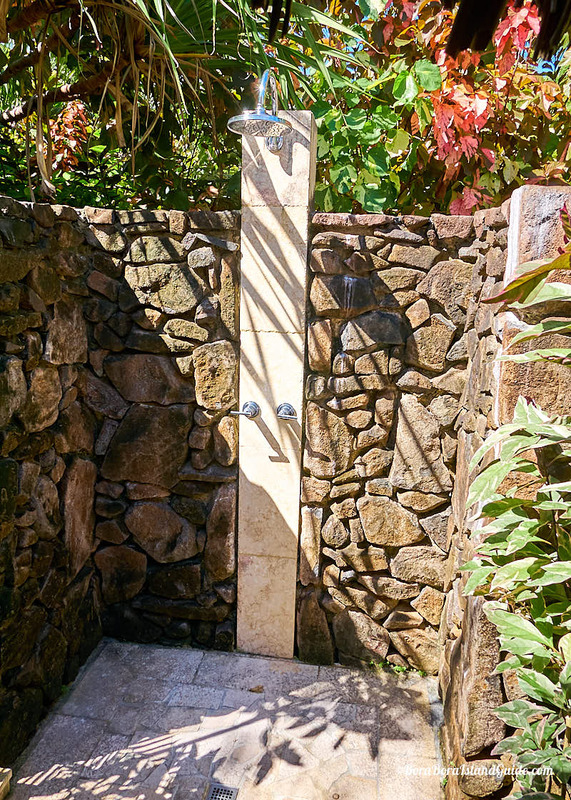 The romantic couple's dedicated bath room opens to secluded garden; on two sides. 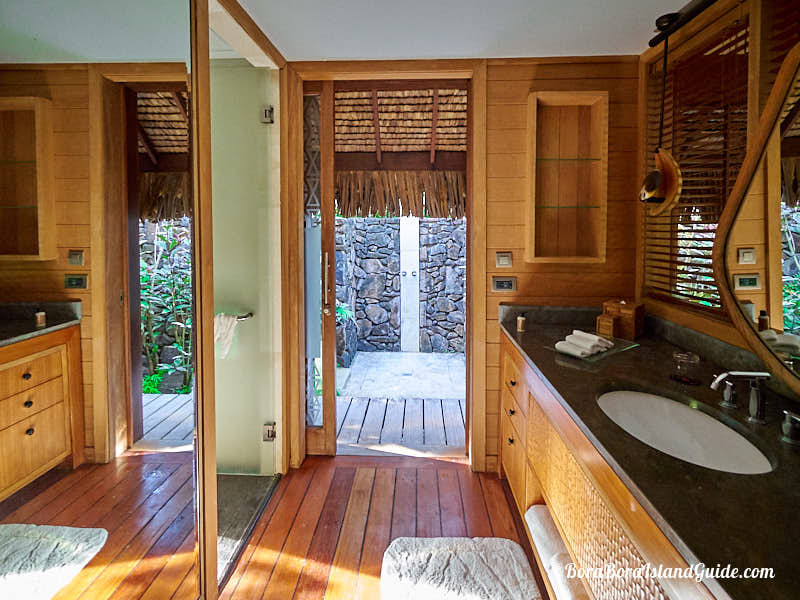 This is a bathroom to dream of after going home. 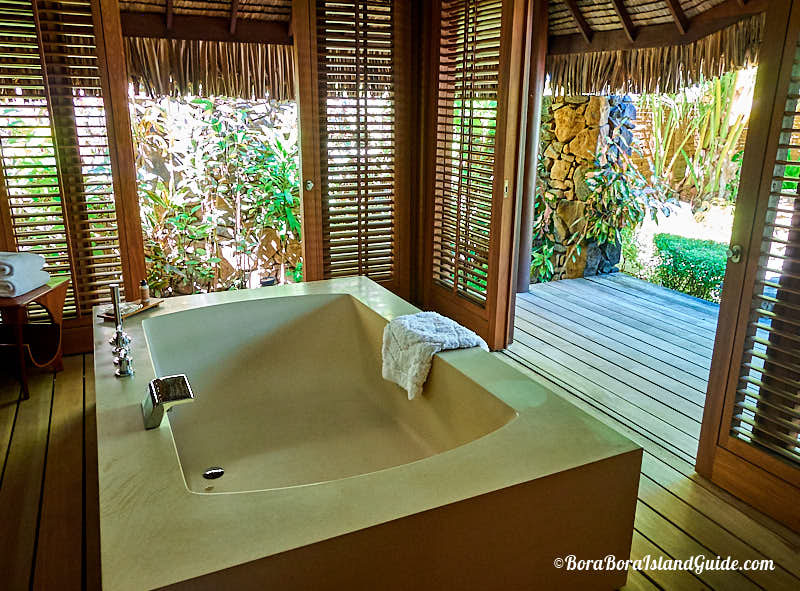 The tranquil view from the bath of this luxurious Four Seasons Bora Bora beach villa provokes one of those surreal experiences where you wonder if you're actually awake - luxuriating in warm water! 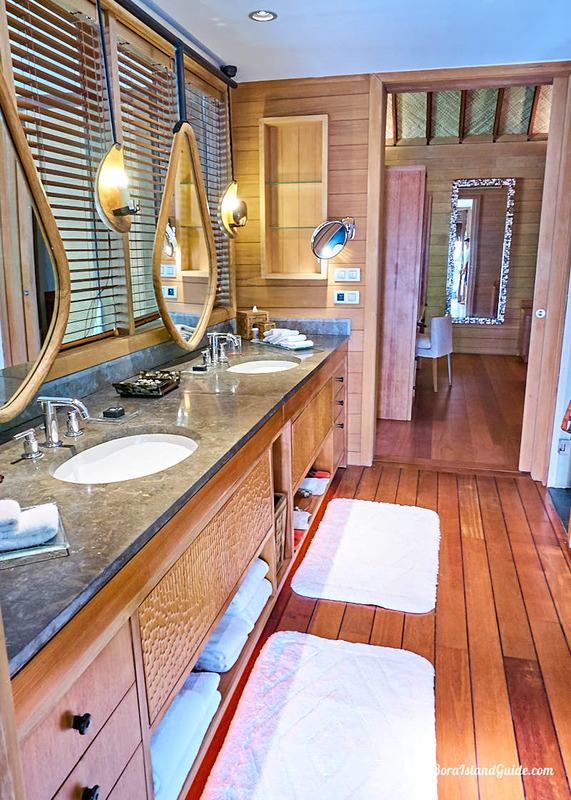 Next door to the bath room there's a separate area with a private shower and vanities. 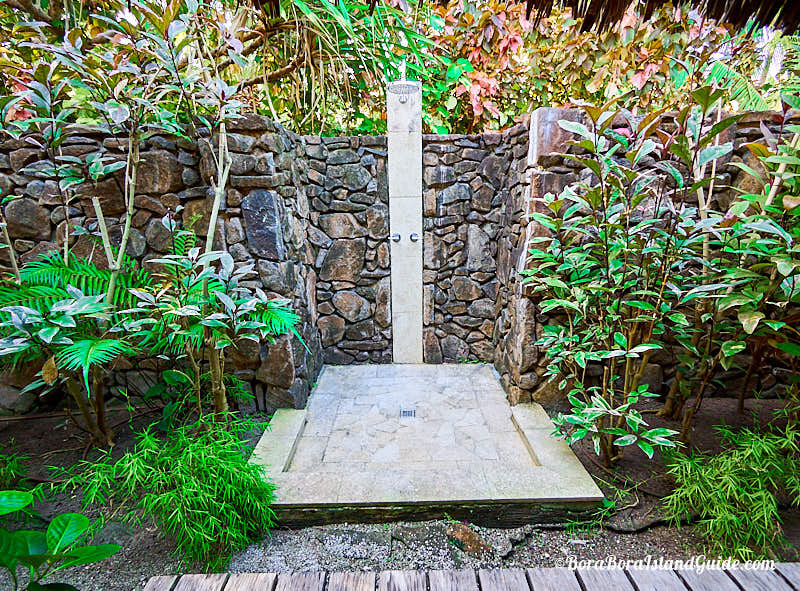 This bathroom steps out to a fairy-tale setting with an outdoor shower, which is a delightful addition as it can be enjoyed all year round, in Bora Bora weather. 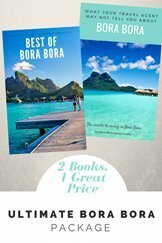 Our Four Seasons Bora Bora beach villa was stocked with such high quality personal products that I could have left mine at home. 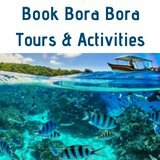 If you're coming as a family or group, you can have a Four Seasons Bora Bora beach villa with a second or third bedroom, complete with luxurious bathroom and walk in closet. The extra bedrooms are in a separate wing, and open to a lush area of the exotic back garden. They have a separate hallway leading to another front door. 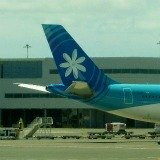 Those staying in this part of the house can enter or leave without disturbing the couple up the other end. 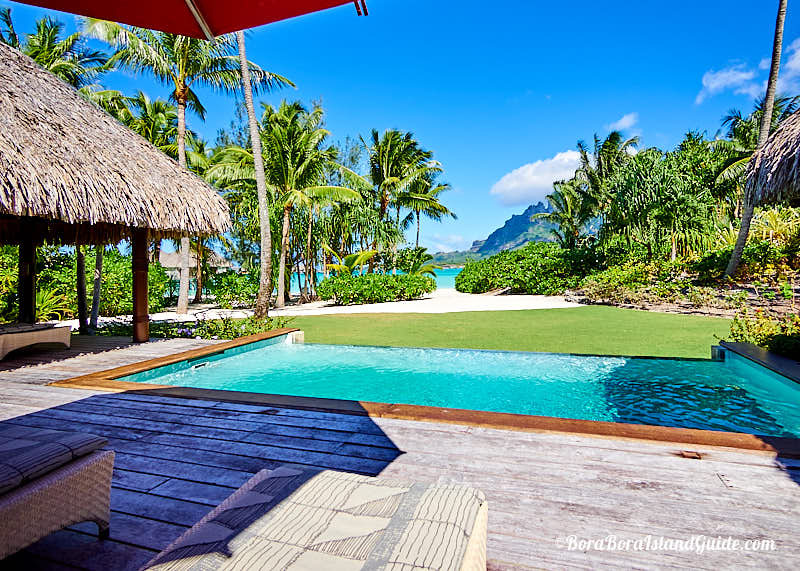 Every aspect of a Four Seasons Bora Bora beach villa is designed around privacy. 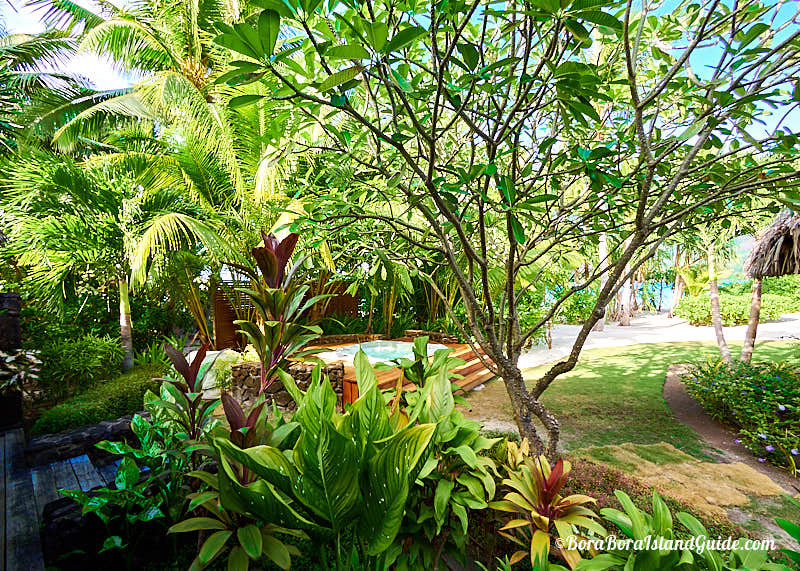 Each villa has a lush screen secluding the grounds on both sides. 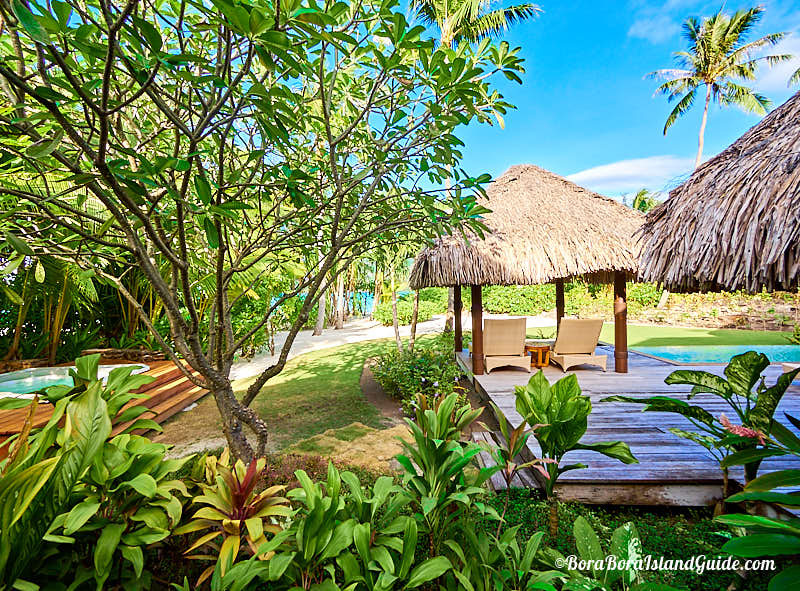 Five of the villas are located adjacent to the border of the property, down a garden path where no other guests go. The other two are set well back from a track to the second pontoon, and each has it's own little path through the leafy foliage. 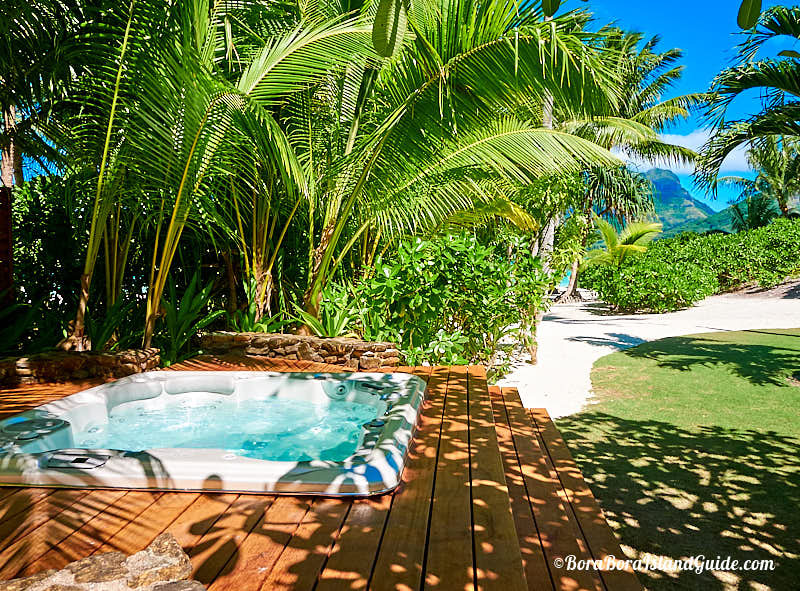 We enjoyed memorable moments, soaking in our spa, in this very private garden, under a Bora Bora full moon. 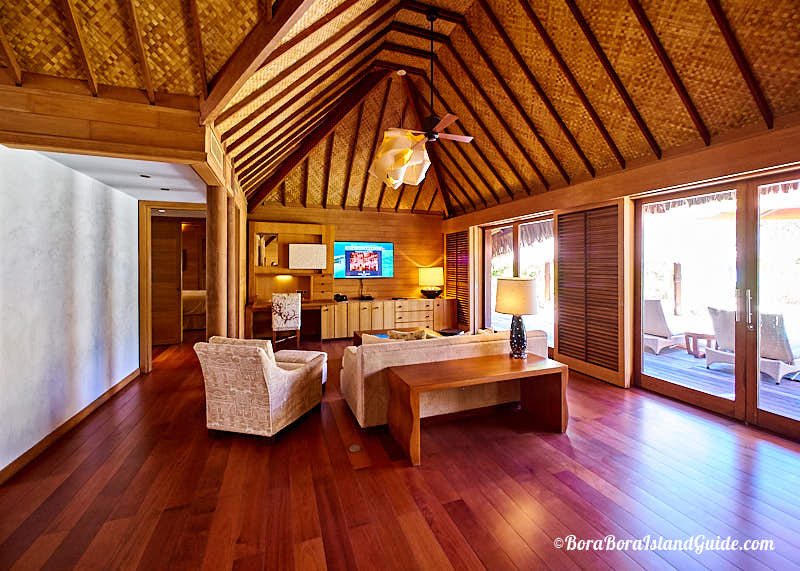 The Four Seasons Bora Bora beach villas have been built back from the lagoon to give utter peace and privacy. 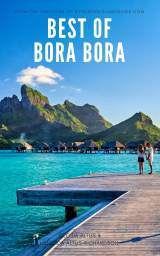 But we didn't merely have privacy in our Four Seasons Bora Bora villa; we were also surrounded with sensational views, indoors and out. 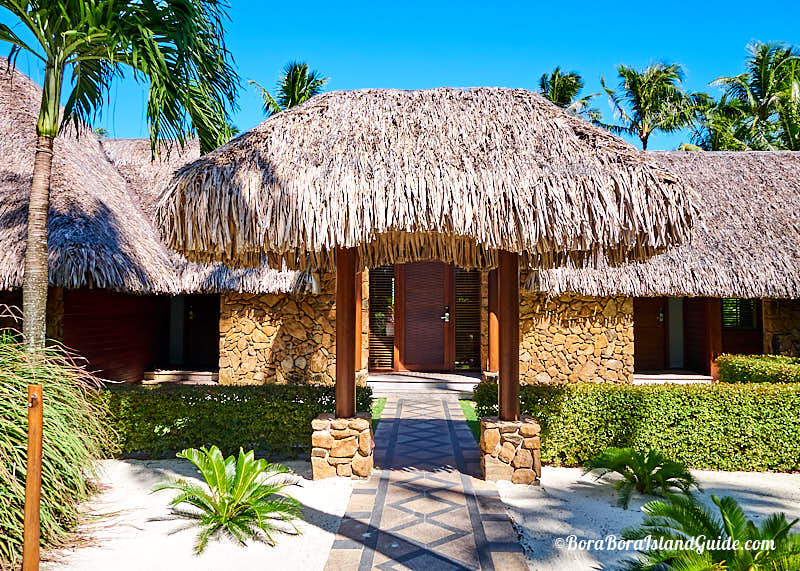 We had the luxury of two shady, thatched-roof cabanas by the pool. 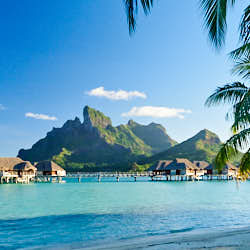 And any time we wanted front row seats to the lagoon, sun lounges awaited us in front of the tall palms on our beach. 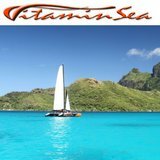 It felt blissful strolling down to our own stretch of sand. 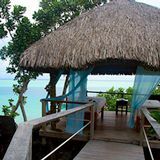 We had a Four Seasons room with a beach! 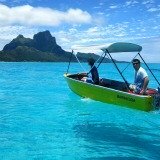 Although most vacationers coming to Bora Bora want an overwater bungalow experience, we discovered that there are some things you simply can't have with an overwater bungalow. 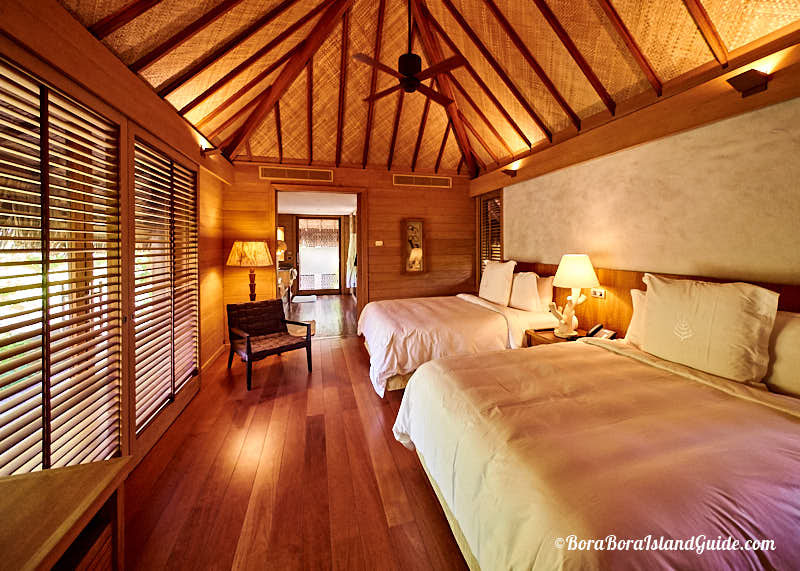 So if you're deciding between an overwater bungalow or a villa, consider having a split stay. 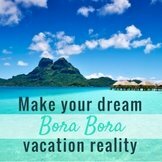 Basking in the luxury of a Four Seasons Bora Bora beach villa made it worth moving to include this incredible time. 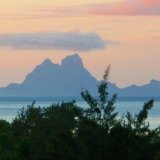 We vacationed like stars in a Bora Bora Four Seasons Beach Villa, and will remember the joy for years! 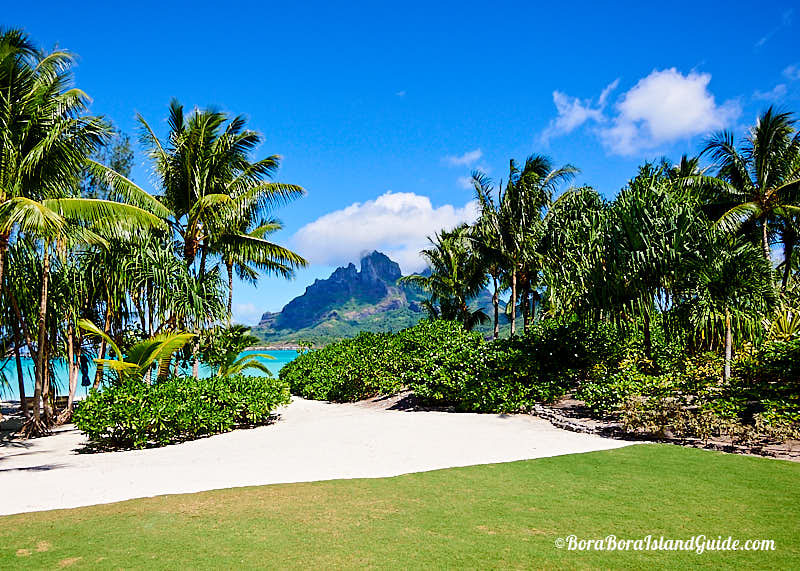 No other Bora Bora villa offers this level of romantic charm, coupled with absolute tranquility; or a perfect private beach featuring the island's signature Mount Otemanu, as the backdrop! 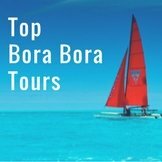 If you want a prestigious stay on the world's most beautiful island, in absolute privacy and peace, we can highly recommend a Bora Bora Four Seasons Beach Villa. 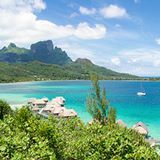 Get a quote from our Tahiti travel specialist, who offers a concierge-like service, yet reliably comes up with the best price for a Bora Bora vacation package.